As my first guest for 2018, I’m pleased to introduce Ron Devanso, who is the digital marketing manager for a moving company in Las Vegas. Ron’s here to share some tools and techniques that will allow you to apply your organizing skills to your marketing activities. The resources he provides will be especially valuable to those of you who manage social media on behalf of your clients. Digital Marketing is a busy job and is for someone who can thrive under pressure. There are always new tasks dropping on your desk each day. Digital Marketing has so many different concentrations from Search Engine Optimization, Social Media Optimization, Email Marketing, Search and Social Media Advertising, and Brand Reputation Management. The hardest part of juggling all these daily tasks is keeping them organized. Missing any one aspect of the Digital Marketing Puzzle can ruin your marketing plan. We are going to take a look at a few aspects of Digital Marketing and how you can perform your tasks more efficiently. SEO is a huge job all by itself. Nowadays SEO can make or break your business. Big companies have huge SEO budgets but you can still compete with them by staying organized and following your SEO strategy. I am going to share with you a great SEO spreadsheet to keep track of your campaign. This spreadsheet was passed down to me from one of the Top 10 SEO’s in the country. This sheet will hold all the important info for reference in your campaign: the login and Urls for your website, Google Analytics, Search Console, and social media profiles. This sheet will keep track of all the Organic Keywords you are targeting in Google Search. There are fields for Monthly Volume, your current position, the Date you recorded that position, and the Target Url. Next to that there is a place for notes and also metrics for your website along with your competitors’ Referring Domains, Word Count, Facebook shares, and Twitter Shares. This is the portion of the worksheet to track all of the keywords, their landing page, current ranking, and the date you entered the information. This is very useful especially if you do not have a paid SEO Rank tracking program like Ahref’s which keeps track of all this data for you. You want to run your website though an SEO audit once a month to make sure everything is going correctly with your SEO campaign. Small technical errors can pop up out of nowhere for one reason or another and you want to be able to fix them before they become a problem. A great piece of software for technical SEO auditing is Screaming Frog SEO Spider. Getting white hat organic backlinks is a time-consuming process that requires manual outreach to bloggers and webmasters. This sheet helps you keep track of your backlink prospects and record information such as their domain and their email addresses. This part of the spreadsheet is where you record all the current backlinks to the website. It has fields so you can input the anchor text and url pointing to the specific page in your website. There are also fields for how many social shares, Domain Rating, URL rating, and other important link metrics. These are backlinks that you have acquired from Web 2.0 sites, manual outreach or natural links from other websites linking to your content. Tier 2 backlinks are now essential as part of an SEO campaign. Google started penalizing websites that received large amounts of backlinks with rich anchor text with keywords. Tier 2 Backlinks are the backlinks that are pointed to your main backlinks and pass Domain and Page Authority to them. Tier 2 links act as a cushion so a weak or spammy backlink doesn’t get your main site penalized. Social Media profiles are now a necessity for any company. It is becoming harder to get organic reach with your company’s posts and Facebook ads are hotter than ever. If you’re not a fan of Facebook’s new pay-to-play business model, there are a few things you can do to get your company’s content out there easily. Social Signals are a part of Google’s Ranking algorithm for your webpage. Google does not publish how much they influence your SERP (Search Engine Ranking Position). Digital Marketers argue how much they actually account for, somewhere in the neighborhood of 5-12% of Google’s Ranking Algorithm. Social Signals are defined as “likes, shares, votes, pins, or views” on networks such as Facebook, Twitter LinkedIn and Pinterest. Quuu Promote is a great way to get social shares across the three major networks, Facebook, Twitter, and LinkedIn. Unlike other services, Quuu Promote connects users wanting to share more content relevant to their followers with companies wanting to promote their content. It automatically adds your posts into real users’ Buffer accounts, which then automatically schedules and shares the post across all of their social media accounts. You get a 14-day free trial and then it costs $40 per post for 30 days of social sharing. In a little over a month I was able to get over 1100 shares for the Las Vegas moving company that I work for. Automating your social media posts is necessary now to connect with your audience. Scheduling your posts on the days and times that your audience is online is a great way to get your content on their feed. There are several programs that do this but my favorite is Buffer. Buffer allows you to connect your Twitter, Google Plus, Facebook, and LinkedIn profiles on their dashboard. From your dashboard you can add posts to your queue and schedule which days and times you want your posts to be shared. Buffer also has a handy Chrome and Firefox extension which allows you to share a website you are visiting with one click. The best part of Buffer is the basic plan is free. You get to schedule up to ten posts at a time to post to the big 4 social networks. Digital Marketing is a full-time job, even for small businesses. There are two routes you can go when hiring someone to do your digital marketing for you. Hire a Digital Marketing Agency – Hiring a Digital Marketing agency will take all the stress out of your marketing efforts, but it will cost a good amount of money. Expect to pay at least $4,500 per month for a good agency. The best way to find a trustworthy company is from a referral from somebody who has used them before or is currently a client. Hire an in-house Digital marketer – Hiring an in-house digital marketer will give you more control over your marketing campaign. You will be able to set a salary for your employee and a marketing budget each month of what they can spend. This is a more efficient way to do your digital marketing because you will know exactly where all of your money is being spent. 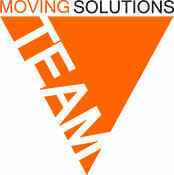 Ron Devanso is the Digital marketing manager for moveON moving, a Las Vegas based moving company. Ron has been in the Digital Marketing field for over 5 years and specializes in Technical SEO and Content Marketing. Ron grew up in the internet age when AOL first came out and everybody was discovering the internet. He created his first website at age 12 and was the first one in his school to have their own website. This is a pretty impressive collection of tools. Making me feel that I need to up my game! Nice to learn about these ways to bring organization to my social media. Yes, I was pretty impressed too! I have a lot on the go right now, but look forward to using the SEO spreadsheet when it’s time for me to focus on that area of my business. Great spreadsheet! I made a copy of it. I started reviewing my SEO linkbacks last year and found it quite confusing, especially when they are spammy backlinks. The process of removing spammed backlinks were difficult to get rid of and I just gave up. Not like me, I know. But, I just didn’t have the time to do this work. So, I reached out to other SEO companies for help (2 of them to be exact) neither got back to me. It was frustrating. I totally agree, if you know someone who has used these SEO services before, it is your best bet to use their referral instead of reach out to any company you don’t know. What is it they say, “You don’t know what you don’t know.” And after reading this post, there is so much I have to learn. Unfortunately, I don’t have $4500 a month to hire a digital marketing agency, but that would sure be great. It seems daunting to take this on, but perhaps there’s some happy medium between perfect and better. I was a little taken aback by that too, as I made it clear to the author that my readers are solopreneurs. I don’t think a one-person operation needs a team or a full-time employee to manage their social media! Instead, I’d recommend either a virtual assistant or a website care plan that includes marketing support. Thank you for sharing those useful tips and tools! Absolute fabulous. You have done a great job. I always maintain my work data because as an online entrepreneur I need to handle a lot of data for my work. I must say all these types of data maintenance will enhance my job accuracy and productivity. I always maintain the spreadsheet for my different login id which I frequently use for my work. I would say your examples are very effective and I am pretty sure I can use it to work a more efficient way for my clients’ project.